We have to inform you that our guest speaker professor Attila Varga will not attend the seminar due to health problems. 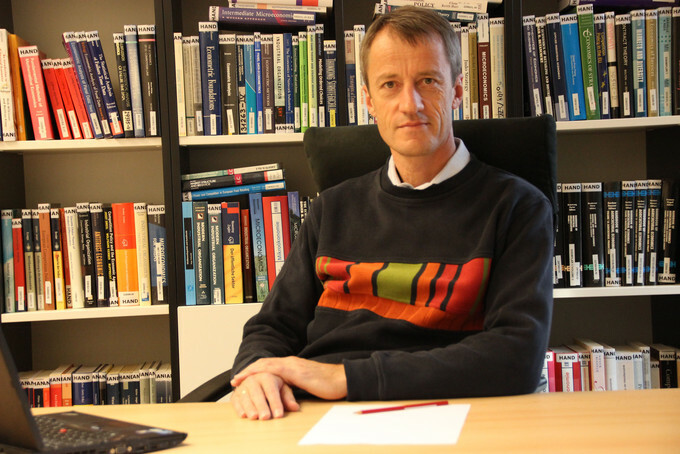 We are happy to announce that our key note speaker will be Christoph Weiss (WU Wien, Austria) and he will have a lecture on Information and Price Dispersion in Space: Theory and Evidence. Christoph Weiss is Professor of Economics at the Vienna University of Economics and Business (Austria). His research interests are in industrial organization, food and agricultural economics and economic policy. His recent research is devoted to the impact of spatial competition on firms’ pricing decision, the relationship between consumer information and the distribution of prices as well as the impact of firm organization on product quality and reputation. The 5th Winter Seminar of Regional Science will take place in the mountain resort of High Tatras on 11th-14th March 2015 in the Hotel Sorea Trigan at Štrbské Pleso (GPS: E 20° 3' 57" N 49° 6' 56"). The seminar begins on 11th March afternoon at 3 pm with a keynote lecture Economic impact assessment of EU regional innovation policies by Attila Varga, Professor of Economics, Department of Economics and Regional Studies, University of Pécs, Hungary. We are pleased to announce the 4th Winter Seminar of Regional Science, which will traditionally take place in the mountain resort of High Tatras on 29th January – 1st February 2014, this time with guest speaker John Pickles, Department of Geography, University of North Carolina, Chapel Hill, USA. Seminar will be held in English. The seminar is jointly organised by Society for Regional Science and Policy - Slovak section of ERSA, Region Direct - Scientifical Journal, and Department of Public Adminstration and Regional Development, University of Economics in Bratislava. 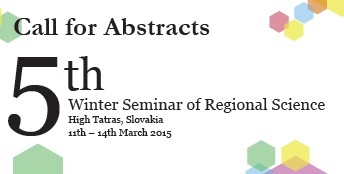 The 3rd Winter Seminar of Regional Science will take place in the mountain resort of High Tatras in Slovakia on 20th – 23rd March 2013 in HOTEL TULIPÁN. The accommodation costs will be covered by the participants. If you would like to make your reservation in Villa Borievka (Dependance of Hotel Tulipan) or Hotel Tulipan, fill out the online booking form at the following link: http://www.hoteltulipan.sk/rezervacia-hotel-tulipan. In the Dependance of Hotel Tulipan our seminar participants have special accommodation price with breakfast: 35 €/ night/ person. 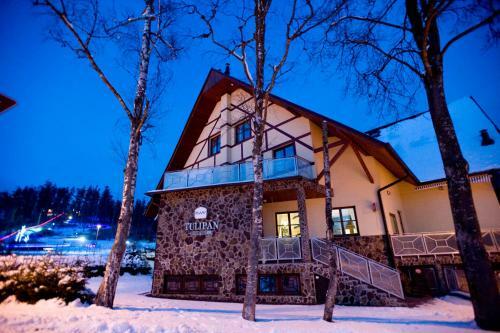 Further accommodation possibility is Hotel Tatry, which is located 100 meters from the the seminar venue.